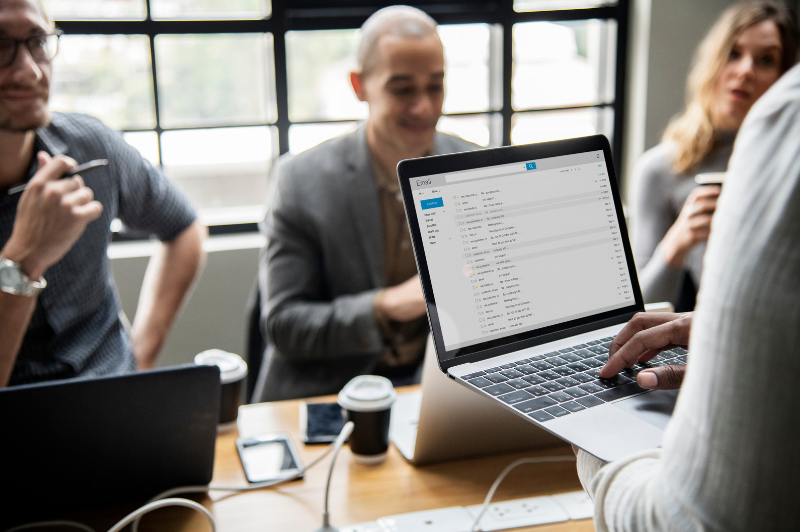 It’s important to put your best foot forward in an order tracking email since customers have high rates of engagement and spend more time looking at them. 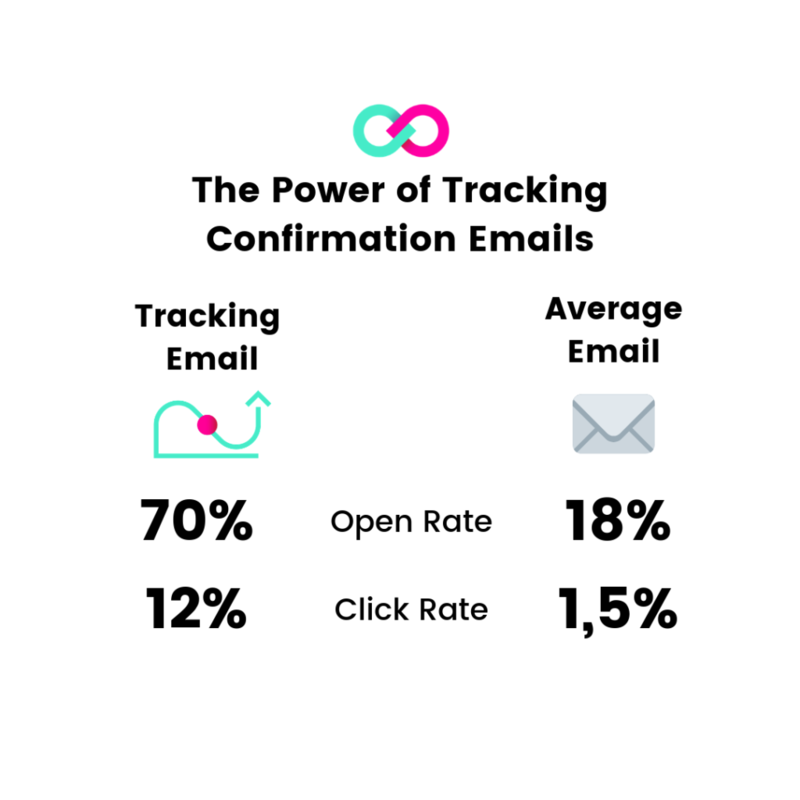 Order tracking (or confirmation) emails have the highest click, open, and conversion rates. The average open rate for an email is around 18%, while confirmation emails can have open rates that reach 70%. To ensure a sense of trust and credibility with customers, send a confirmation email immediately after the purchase is made. Waiting a day or even an hour can cause customers to worry about their order. Investing in automation software to send immediate order notifications can save time and money in customer service fees. 2. Emphasize the Arrival Date and Package Tracking Link. On average, people spend 14.8 seconds reading an order confirmation email. While this is higher than the average email, it’s not enough time to pick through fine print and hidden details. Customers want to skim order confirmation emails, so give them the most efficient user experience possible. Make package tracking capabilities accessible to the customer, be sure not to hide it in the fine print. The most meaningful piece of information to the customer is the package arrival date. So, place it at the top of the email in a large, noticeable font. With the arrival date at the forefront of the email, the customer’s excitement for your product to arrive will increase. The order confirmation email is an important tool for customers to double check that there are no mistakes made in the order. If they ordered the wrong color, entered an incorrect address, or paid a price they didn’t mean to pay they want to recognize that in the email right away. For added peace of mind, include a picture of the product ordered, the order quantity, price, and any details specific to the order. Be sure to clearly indicate the address where the order is being shipped. Since tracking emails have such high rates of engagement, it can be a valuable tool to encourage repeat purchases from your customers. 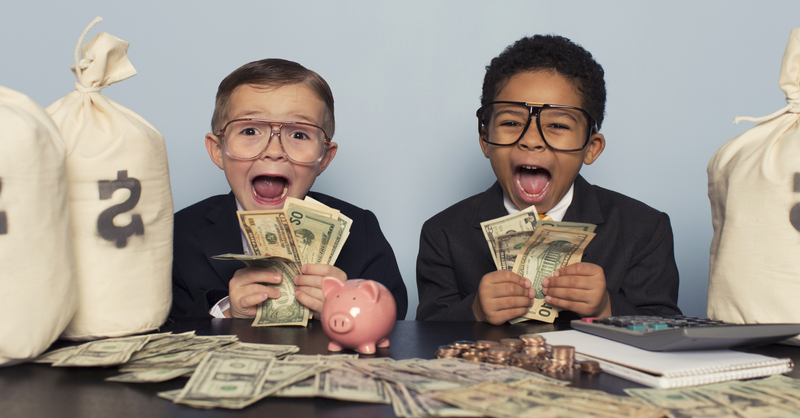 Repeat customers spend 300% more and refer 50% more people than one-time buyers. Don’t be afraid to show the customer other products they may like or promote your best sellers. Offer deals that are exclusive to email confirmations or display complementary products to the item they just purchased. Keep in mind that a majority of the email should be transactional, and the order information should be at the forefront of the email. An order confirmation email is a representation of your company, so be sure to design it that way. Tracking emails with plain text and no images could be mistaken for spam so be sure to include your logo and brand colors. Customize your email to show who you are as a company. While images are essential to assuring your credibility, be aware that videos and GIFs may slow down the load time for your customers. Order confirmation emails influence the customer’s perception of your company, so use them as a tool to represent your brand. While it may seem like a no-brainer, keeping customers informed on the delivery and shipping of their products is of utmost importance for the firm’s reputation and customer loyalty. 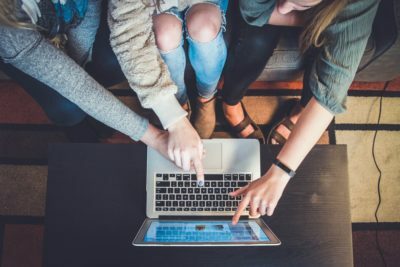 With online shopping expected to account for over half of all retail sales in the coming years, it’s important to cater to the needs of consumers in a marketplace that is becoming increasingly digital. In a recent survey of online shoppers, a staggering 11% of customers don’t go through with their purchases after surveying options and adding them to their cart. Why, you ask? They’re unsure if they trust the shipping or don’t know anything about the process. It might seem crazy, but this is a real and legitimate reason to not follow through with purchases. It’s because of this reason that retail giants like Amazon and Apple take measures to ensure that customers know they can have constant eyes on their product. 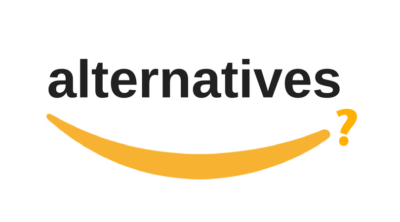 Take Amazon for example; with each purchase that a consumer makes from their website, that customer can instantly see the order number for their purchase. Even more impressive, when the package ships, you can track the package with just a few clicks from your email. And even if consumers choose to pick up these products on their own, Amazon is sure to be transparent about the order number as well as when and where the product can be picked up. Another best practice when we talk about tracking emails is given by Apple. By clicking on the order number, the customer is immediately able to check on the day the product will be ready as well as financial information related to the purchase. Additionally, they can update information after the order is made. This is the type of transparency and flexibility that aids Apple in becoming the powerhouse that they are. Following these tips in your order confirmation emails is a win-win for you and your customer base. When a customer receives a well-crafted order confirmation, they won’t have to spend time calling customer support with questions about their order. With less time spent on customer support lines, you can better allocate your resources within your team. Simple updates to your order confirmation email template can save you time, put a greater focus on the company and, in the long run, grow your business. 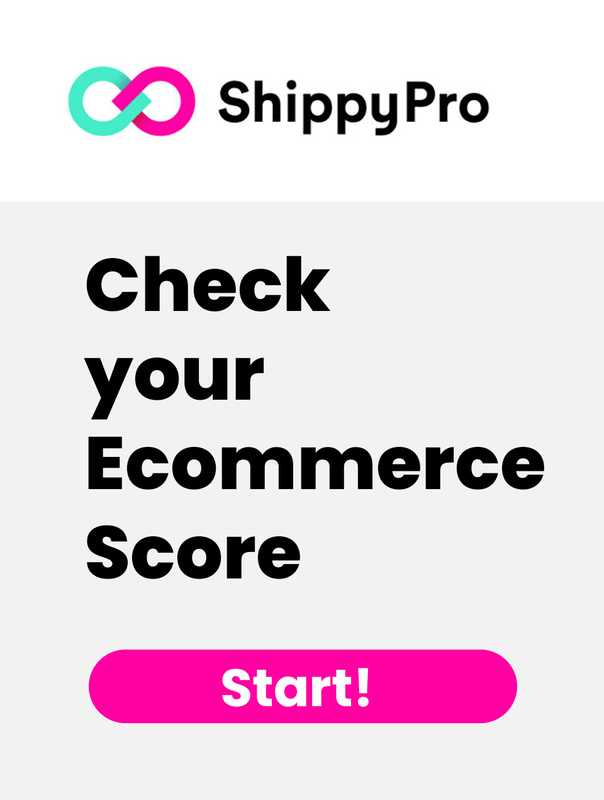 Boost your online business with ShippyPro’s brilliant tools. To utilize customized emails, live track & trace, and more click here.